On most cars built in the last 14 years there is a little yellow warning light with a picture of an engine on. This ‘Check Engine light, sometimes called the MIL light (Malfunction Indicator Light), comes on when something is gone wrong with the engine, it might not be a big problem but the engine’s computer thinks it’s at least bad enough for the car to fail an emissions test. The great thing about these cars is that you and I can read its mind. 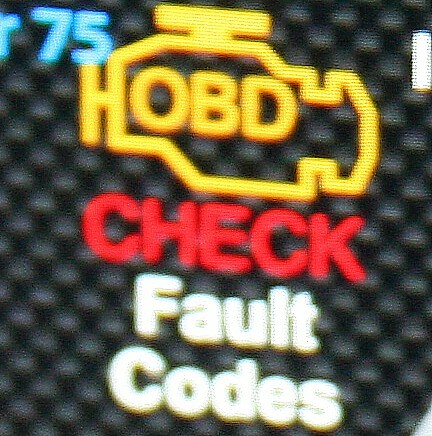 It’s been a long time since On Board Diagnostics (OBD) became standard on cars. There have been a few variations on the theme, such as K line or CAN, but these days there are a respectable number of fairly cheap devices that can read fault codes, making looking after your car that bit easier. In fact I would encourage any car enthusiast to get one. For instance I use an application for my Android phone, it’s called Torque (I reviewed it in Evo magazine last year) and it cost me the princely sum of £2.92. To be able to physically talk to the car I connect it using a Bluetooth OBD interface based on the ELM327 chip, which cost about £12 off eBay. This allows me to read fault codes from the engine, and when appropriate to clear them. It also allows me to look at the values from sensors such as coolant temperature, engine speed and the signals from the oxygen sensors. This is very handy when you like playing with bargain bangers, which tend to be about ten years old and frequently come pre-equipped with a host of minor faults. In fact I used it on the last car I bought, I must confess that I did something that I always advise other people not to do and bid on a car on eBay without viewing it! So when I went to pick it up I plugged my phone in to the OBD port and listed off the current faults, then had a chat with the seller about their claim that the car was ‘faultless’. We came to an arrangement. They say knowledge is power, and knowledge of what’s on a cars mind certainly does give you bargaining power. And all power came for less than £15, not bad. I use this kit for servicing and maintenance, it can indicate when a small exhaust leak has just started or when an air meter is dirty and is reducing performance and economy. But I also use it for tuning, I’ve tried different spark plugs and checked the knock reading as well as watching the fuel flow to see if the efficiency has improved. As the phone has GPS I can compare the actual road speed to the speed the car thinks it’s doing, handy for calibrating the speedo when fitting bigger tyres. For someone who like to play with their cars this info is very useful, years ago kit to measure these things would have cost thousands, but now it’s cheaper than a large box of chocolates. In fact I even use it when I’m working on prototype and experimental cars, as a first line in fault finding and making sure a car is running correctly before an important test. I also have kit that does indeed cost many thousands, but it is bulky and needs a laptop (for those in the know I’m talking about INCA and an ES592 with all the leads and faf) so if I just need to have a quick look at the basics then I’ll use my phone instead. Amazingly the app is so good that it can record data from the phone’s other features at the same time, so I can do a few laps of a test circuit and record critical values such as temperatures, air flow, fuel flow, lambda end engine speed, whist at the same time recording G forces from the Android phone’s inbuilt sensor and also record video from its camera. This gives me a very useful log file showing exactly what went on in the engine as I throw the car through the twisty bits. Of course it doesn’t do everything that full professional kit does, but it gets pretty damn close for a fraction of the price. I am still impressed one year on. The Blootooth OBD interface similar size to my phone. But even for the normal car enthusiast this kit is really useful, even if you only use it for fault code reading and resetting the ‘Check Engine’ light. I have seen many dealers charging around £250 for this service, so if you only ever use it once you’ve saved a packet. I should mention at this point that there are two completely separate sets of fault codes from the engine, the set used here is the standard set that is dictated by law, all cars use this set and it includes the ability to clear codes and reset the fault light. But there is also a second set that is manufacturer specific, this allows for unique design features and gives more detail, a simple reader won’t usually understand these codes. Some companies such as VAG make heavy use of these special codes, but even so a basic reader will still tell you if something is not right. However I have to sound a warning, these fault codes are not to be taken too literally. A common problem is a slightly corroded connector leading to an incorrect diagnosis of a failed sensor, imagine a little bit of moisture creeping into the engine speed sensor connector, leave it a few years and a tiny spot of corrosion forms. Some days when you go to start the engine it doesn’t get a signal from the sensor and so flags up a sensor fault. You take the car to a dealer who plugs in the diagnostic tool, see the fault code and immediately replaces the perfectly good sensor with a new one. When they plug the new sensor in the tiny spot of corrosion is scraped off and all seems fine again. Two things happen, firstly you get charged for a sensor you didn’t need, and secondly about a year later the same fault re-appears. All it needed was the connector cleaning and a quick squirt of contact grease. Another classic fault is an oxygen sensor reading too lean, but rather than the sensor being at fault it is more likely to be a small exhaust leak that’s causing the problem. So you see, fault codes can be misleading. They are great for telling you the area that has a problem, but this is only the start of the investigation for a competent mechanic. It’s one thing to read fault codes, it’s another to actually understand them. 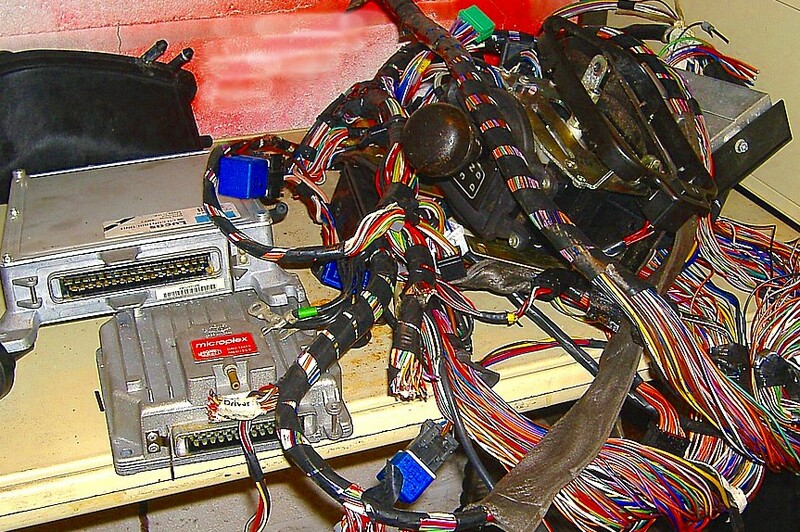 But don’t worry if you are not a trained engineer, owning a code reader is still great because you can read the codes and go onto your car’s model forum and ask the collective expertise what might be causing it. The internet is great for this kind of wisdom, and one thing car enthusiasts are good at is talking about problems and solutions. We are no longer limited to just the contents of our own brain. There are limitations to the ability of cheap devices, most wont read codes from your ABS system or be able to program new keys to your car, but for the rare times you might need one of these features there is usually someone from the forum or club near you who has the kit and is only too pleased to help. The usual place for the OBD connector on any car is under the dash near the steering column. Your car diagnostics should not be a mystery to you, codes were standardized by law to make sure we all had the ability to fix and maintain our cars, so go on, splash the cash on a new gadget and explore your motors mind. The check engine light, lack of knowledge can lead to bad interpretation and expense. manufacturers must design the fault detection system to generate revenue from needless parts sales, this is of course complete cobblers, not least because manufacturers always loose heavily when any part is changed under warranty. But also bear in mind that thousands of us Engineers work developing these systems and on the whole we are not a bunch of psychopathic con artists with a hatred of the driving public! On the contrary, most of us are car enthusiasts and obsessed with doing thing right. So how did this bloke end up in that situation, and what strange sequence of events led him to his disparaging conclusion? in cars that have run on ordinary diesel for some time. Wax and other deposits can build up a bit like those fatty deposits you get inside dishwasher drains, but the solvents in biodiesel clean out the tank and fuel lines causing the debris to float off and block the fuel filter (which is only doing its job). Common practice when deciding to run on biodiesel is to fit a new filter first, run the car for a short time to flush things through and then fit another filter; they generally cost only a few pounds. But on this car that wasn’t done and the fuel flow became restricted so when the demand was high the engine would loose fuel pressure and reduce the power level to compensate, to the driver the car drove normally until accelerating hard to overtake when it would suddenly loose power. 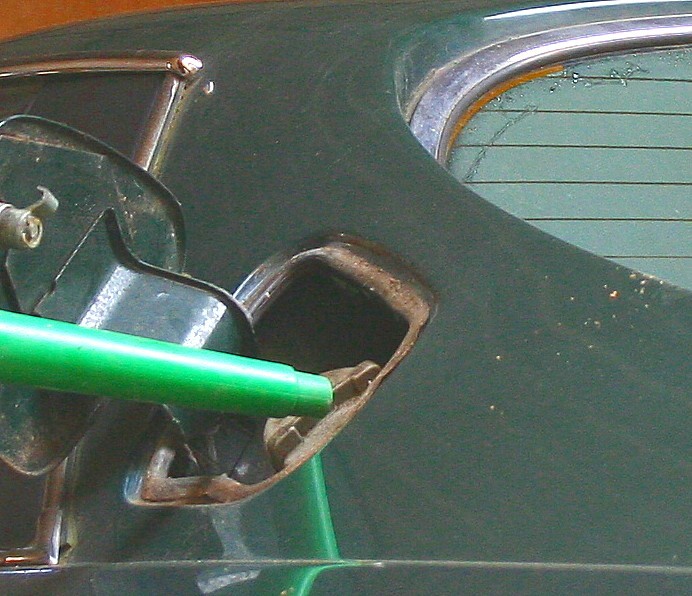 Be careful what you put in the tank, cheap fuel can cause expensive repairs. A fuel pressure fault would be flagged but international fault code listings are, by their very nature, quite generic which works well for most problems, but in this example the system would only be able to detect that the fuel system pressure had dropped as the demand increased when he was overtaking. As soon as the engine had been restarted the pressure would return. Once the engine has been restarted a few times the system must assume the fault has been repaired, as there are big penalties for manufacturers if their cars keep flagging false warnings, and so by the time the diagnostics tool was plugged in the codes may have been cleared automatically. So when our chap went to the dealer there would be no trace of the fault code for de-rating, just some ones about fuel pressure which lead to the dealer mistakenly replacing the fuel pump at great expense which obviously would not cure the blocked filter. The customer took the car away and unsurprisingly the same problem occurred, so he took it back to the dealer. In this case the dealer stated that as well as the generic codes there are manufacturer specific codes that can only be read by the manufacturers own diagnostic equipment, so the system was hiding information and it wasn’t their fault. This is unfortunately what started the conspiracy theory! Manufactureres spen millions testing engines in all conditions to eradicate faults. 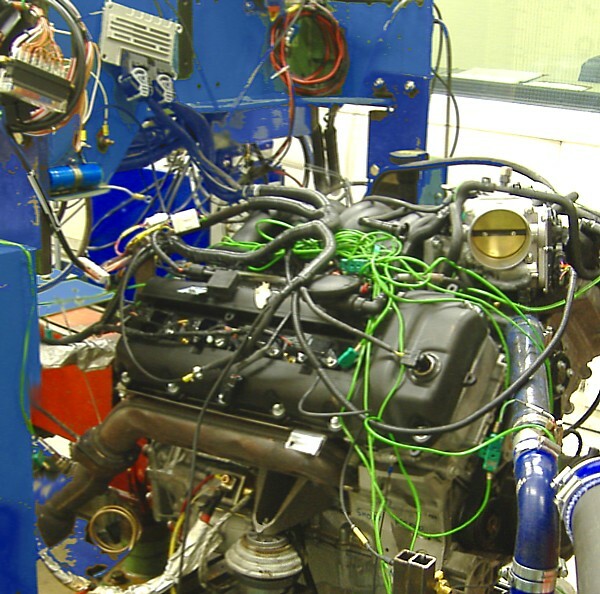 Manufacturer-specific fault codes are there as an extra layer of sophistication and reflect aspects of the engine system design that are unique to that manufacturer and that particular type of engine. They are even more open to misinterpretation which is why car companies are keen to only give them to people who have been properly trained. So yes; there is a separate fault list, but it’s not some secret conspiracy, just a reflection of the very high complexity of modern control systems. It could well be that the garage personnel had difficulty understanding the diagnostics which is entirely understandable as the systems are hugely complex and every car is different. Not only that, but the technology is changing all the time, so having an understanding of common systems available five years ago is of very little use on cars of today. This complexity is driven by emissions legislation, safety requirements and customer demands whilst reducing costs, it is done out of necessity. Modern engine management is one of the most complex and demanding control systems commercially produced, and yet this feat is hardly recognised, which is a shame. Its complicated enough without conspiracy theories. So the moral of the story is two fold; there is a skill to interpreting fault codes and they need to be used in conjunction with traditional fault diagnostic techniques (ie: if there is not enough fuel getting through, check for blockages! ), and manufacturers don’t design in faults deliberately, it’s hard enough as it is!